What a blissful weekend. Seriously folks, do you ever feel like you've had a holiday after just staying at home. I didn't see a single person this weekend (other than random strangers when I occasionally left the house). And what a beautiful weekend to do it on. I am loving the sunshine ... the bunnies, not so much :( I think their Northern Hemisphere systems need to adjust to this sudden turn in temperature! Anyhoo, so on Friday night I had another check-up at the vet with Rex. His progress is still good and we continued the Vigamox drops until Sunday evening. We'll be visiting the vet again later this week for a final check-up to make sure it's not coming back. So I got myself some take-out and settled in to watch some old movies I had on the hard drive. 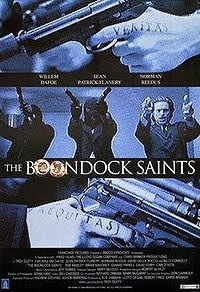 The weekend started with Boondock Saints. I was curious to see how the movie held up to my memory of it's awesomeness. It both did and didn't. It was a brilliant performance by Willem Dafoe, but I felt the ending fell a little short. Still, any movie with Billy Connolly is usually a winner for me :) I definitely think it warranted the watch tho! I decided to make myself some pizza for dinner which turned out fabulously (except the dough wasn't quite right cause although I went to the shops and found the yeast and put it in my basket ... it doesn't seem to have ever left my basket and I arrived home without it :( This warranted plenty of phone calls to mom about alternatives. At 4pm on a Saturday who wants to head back to PnP?). It was delish and piled high with awesome toppings (bacon, feta, red pepper and avo) ... and the size of a baking tray. I couldn't even eat half of it ... but I enjoyed it again on Sunday and saved a bit for Varen. 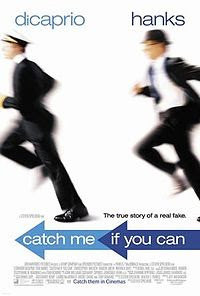 I spent the evening watching more old movie favourites: Finding Neverland and Catch Me If You Can. 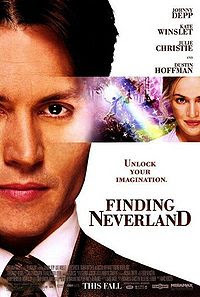 I really enjoyed this one the (first and) second time, two of my favourite actors: Johnny Depp & Kate Winslet and a beautiful story. Sunday was another day spent in the sunshine with the bunnies. Although the day didn't start off nearly as well :P Our stupid neighbours alarm started going off at 08h30 and only finally stopped around 14h30. And they have one of those really annoying ones that stops after a little while then starts up again. I presume because eventually your ears start ignoring the sound. So they stop and then when they start up again it becomes your focus again. Okay so I have to ask. What the Hell is the Point of an Alarm these days? No, don't get me wrong, I'm not asking what the point of an alarm system is, I'm asking about the actual ear-splitting noise emitted by the alarm system. We do not live in a day or age or society where your neighbours are going to swing round to your house because your alarm is going off. You're just annoying the crap out of them! Surely a silent alarm to ADT notifying them to contact you and deploy their (usually useless) men is sufficient. Although, I mean I can sort of see the point if you might be at home during a break-in, asleep and need fair warning. Then surely the alarm can scream a few times ... like for 10-15 minutes at the max ... if you're not awake by then, then nothing can help you anyway. And then the alarm can stop ringing. It's done it's job. None of this incessant all-thru-the-day-and-night nonsense that is only annoying those around you. I mean chances are you've gone out and left a window open and the curtain has just blown across your motion sensor and we're left suffering for your mistake! It's insane. Does no one really think these things thru. I need to find out who owns this alarm and get their phone number so that, when their alarm is going off and annoying me, I can in turn annoy them. On Sunday evening, to bide my time while waiting for Varen to finally arrive home, I went to watch My Sister's Keeper. I think it was a pretty decent adaptation from the book. The only bizarre thing for me was Cameron Diaz in the "mom" role. I didn't think she'd gotten that old ... yeah, I dunno if she can pull it off, her playing this high-powered lawyer mom instead of the ditzy surfer chick, part of me is a non-believer. Still, a truly hectic story, I think. And Varen is finally home. He eventually arrived yesterday evening at about 9pm after a long long day of driving with sore feet and dirty clothes. Was quite lovely to have him home :) And I'm even more glad (although completely jealous!) that he has two days off at home before he has to be back at work. I am super bleak that oyu say they didn't stick to the ending of My sister's Keeper! Doesn't a new ending detract from the story? Will have to see it to find out, but I don't tend to go to weepy movies - I am miserable for hours after them.